In the park, on the streets or skateboarding with your mates; now you can play your music, your way. The new Walkman WH Series brings you the best of Sony, with a digital music player, speakers and headphones all in one innovative, wire-free design. Move to your music without the tangle of cables. Create your own personal surround sound with one touch to the built-in speakers. Or simply chill out to the pure sound of high performance headphones. However you listen, get the audio quality you expect from Sony. The new Walkman NWZ-WH505 and NWZ-WH303 models ensure you hear every note of your MP3 tracks thanks to powerful headphone drivers. Switch between sound modes for dynamic, enhanced bass or clear, sustained mid-to-high range vocals – whatever suits your style of music*. When you want to switch the beat or listen outdoors and still hear what’s around you, simply hang your 3-in-1 WH Series Walkman around your neck and activate the surround sound speakers at a touch. Pump out a truly immersive, out-loud listening experience created by a combination of our proprietary xLOUD™ and VPT for Speakers technologies. You can keep the music playing all day long with a full charge of 20 hours and built-in storage of 16GB on the WH505 – that’s enough for up to 4,000 tracks. ** Or plug in the WH Series as comfortable headphones and use the supplied cable to listen to music, radio or Internet streaming straight from your smartphone or tablet. 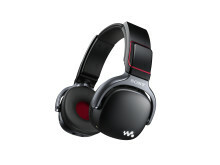 The WH Series is a new concept for enjoying your music the way you want. It brings together years of audio and headphones expertise from Sony to offer you studio sound and comfortable listening wherever you go. 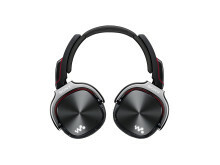 The new WH303 and WH505 Series Walkman models will be available from October, priced at £99 and £179 respectively from www.sony.co.uk.